Come party for the whole weekend or stay for a single day. We have a ticket for everyone! Stay with us for the whole weekend or come party for one day. 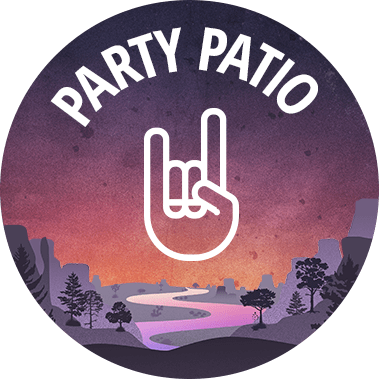 You can get right up in front of the stage in the Party Zone, kick it baller style in a Party Patio, or chill with your friends in the general admission section with your own lawn chair. Access to the amazing camp grounds – spend your days in the incredible Coldwater River! Festival beverage license which allows you to wander through the festival site with your cold Bud …no beer gardens here! An unforgettable experience in BC’s most beautiful cowboy country! All ages welcome. Parents of young children should use discretion if purchasing tickets in the Party Zone. It fills up quick at night. 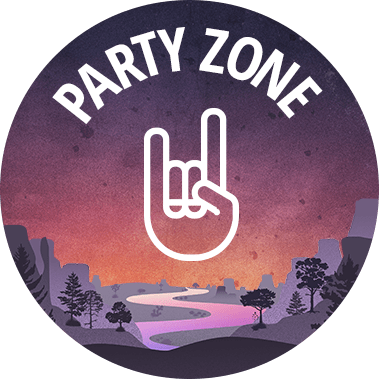 The Party Zone has separate port-a-potties from the GA section and the Party Patio section has flush toilets. Camping and Parking passes are not included with your festival ticket. Complete your ticket package with a riverfront campsite! 1-Day Overnight Camping is available inside of East Gate for $70. Like all camping passes, one ticket includes 4 people to camp on your site, so split the cost with friends! View our camping options. Parking passes are $45 for all four days or $20 per day. Located right behind the Party Zone. No selfie sticks or lawn chairs allowed in the Party Zone! 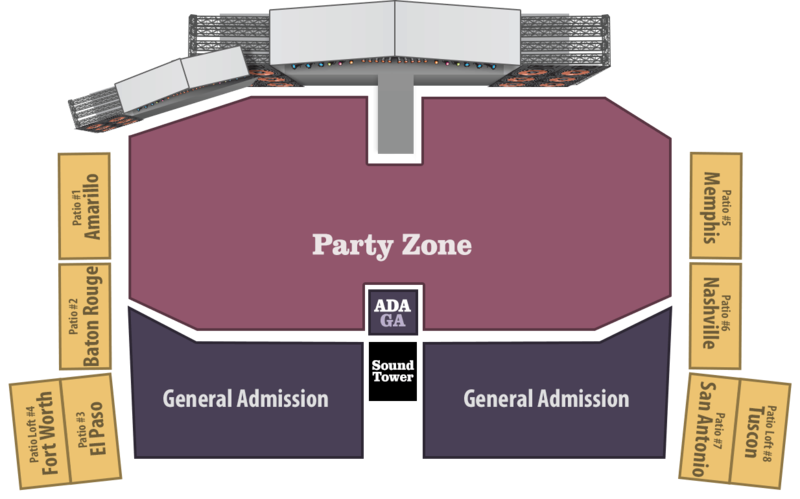 ADA Seating Area: A designated Accessible Seating Area for any patrons requiring wheelchair, ADA, or special seating consideration will be located on site on a raised platform in front of the Sound Tower (located between General Admission and Party Zone) The Accessible Seating option is available to ticket holders using wheelchairs or crutches, or who have any other physical disabilities or injuries that will necessitate a seat for the show. Any ticket holder who has special seating requirements should email info@rockinriver.com with your ticket order confirmation number to request access to the Accessible Seating Area. This must be coordinated in advance of the event. 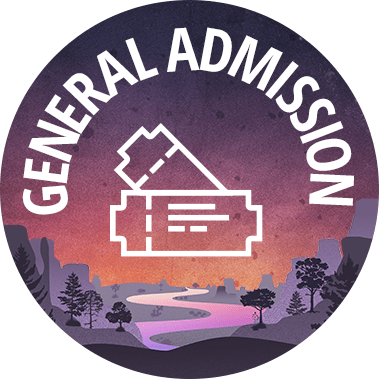 If needed, there will be a designated staff member available on site to provide some assistance; however, Accessible Seating Patrons who require an attendant are encouraged to purchase a ticket for their attendant and include mention of them in the email. There will be 1 attendant permitted per Accessible Seating Patron in the designated seating area. Kids 12 & under FREE: Kids 12 & under access the festival for FREE with a paying adult in General Admission. No need to grab a ticket now, kids will be given a wristband at the gate. Kids on the high-end of the range must have a valid student ID or birth certificate with them at all times.